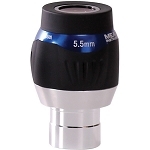 The 70mm f/5 Quadruplet ED APO Astrograph from Meade Instruments is a purpose-built telescope for astrophotography and astro-imaging, with an imaging circle designed to completely cover the larger sensors of today's DSLR cameras. 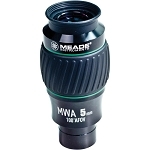 Optically it is designed with fully multi-coated FPL-53 extremely low-dispersion (ED) glass in a quadruplet apochromatic lens configuration that corrects for spherical and chromatic aberrations, astigmatism, and off-axis comas. This correction creates a wide flat field of view without distortion and removes the blue-tinted "halo" affect for true high-contrast color transmission. The OTA can be used for multiple astrophotography techniques, with a 42mm fully illuminated image circle that will cover a 35mm full frame sensor. 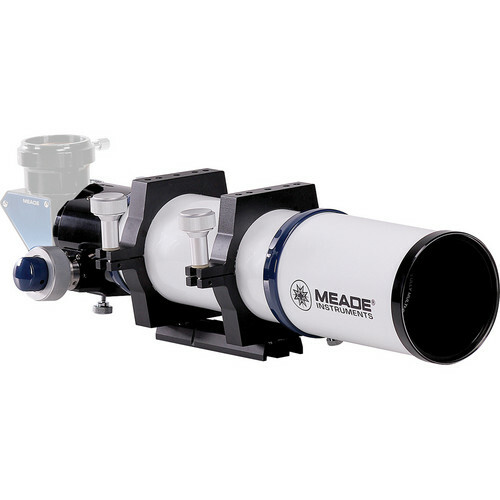 Meade utilizes a precise dual-speed rack-and-pinion focusing mechanism that enables tack-sharp focusing with the ability to handle heavier loads versus other systems, such as a Crayford. While the astrograph is offered here without a mount or tripod for users that have a reliable support system, a set of mounting rings and a Vixen-style dovetail plate are included. 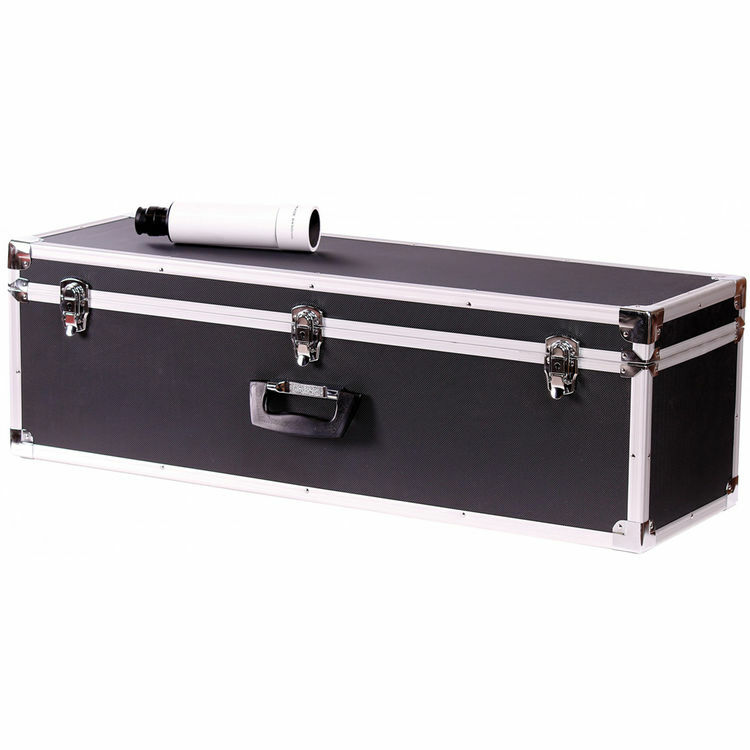 For safe transport and storage, Meade includes a hard aluminum carrying case with a custom-cut foam lining. Box Dimensions (LxWxH) 17.5 x 12.3 x 8.7"